Jesu li u ova dva Essental-a sve Surferove priče iz redovne serije ? Vol. 3 ima nešto manje od 150 brojeva, ali su reprintovane samo ove u ess. #2 i epizode #34-38, to je zbirka Rebirth Of Thanos, uvod u jednu od najboljih stripskih priča, legendarnu Infinity Gauntlet. 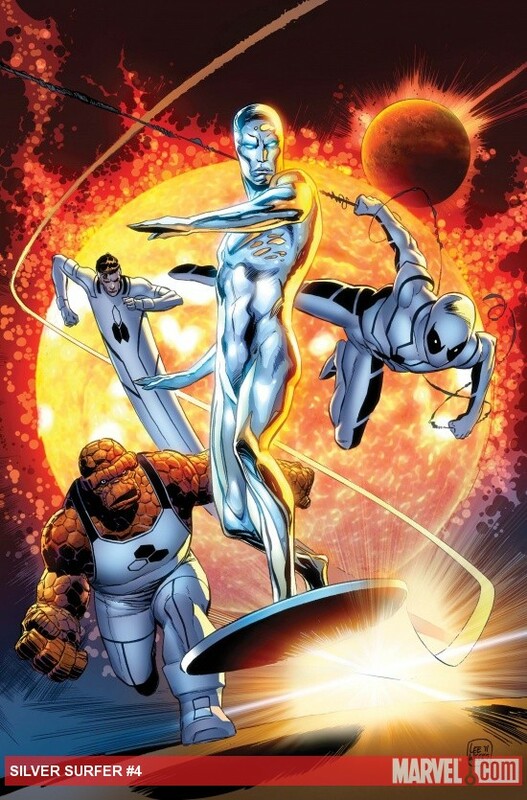 Definitive Silver Surfer - gde je i ona Lee/Moebius epizoda, Parable, ali i Galactus Trilogy, trodelna epizoda Fantastic Four u kojoj se Letač pojavio prvi put, koje nema u essentialima! The Story: The sentinel of the spaceways walks the Earth once more, a stranger feared by many. Only the HIGH EVOLUTIONARY understands his true potential, but the Evolutionary’s mysterious grand design may cost the Surfer everything and change the cosmic balance forever! He’s traded blows with Thor and matched wits with Mephisto, but can the herald of Galactus survive the judgment of NORRIN RAND, the man within the Silver Surfer? It’s a character-defining epic showing the Silver Surfer as you’ve never seen him before, brought to you by “Planet Hulk” writer Greg Pak and “Dark Wolverine” artist Stephen Segovia. 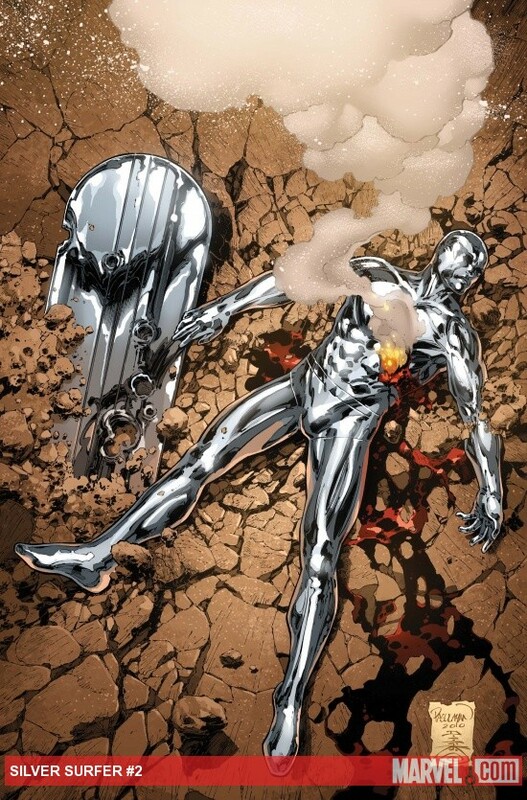 The Story:The High Evolutionary’s plan to harness the power of Silver Surfer—Herald of Galactus—to further his enigmatic goals has been hatched! What can the Sentinel of the Spaceways do to save himself and the cosmos? 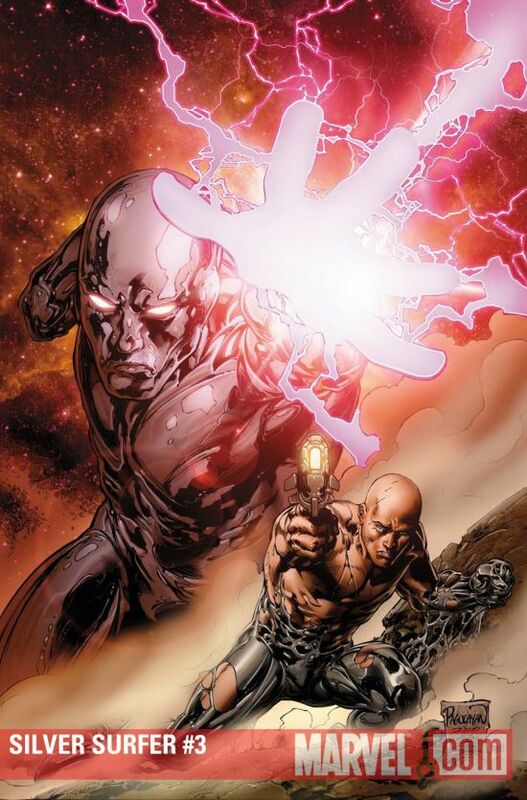 The Story: The Silver Surfer has always served the greater good. And now, with Galactus’ power at his fingertips, the High Evolutionary holds the world in his hands. A humbled Surfer will have to choose sides, and if he chooses poorly, the Earth is lost! 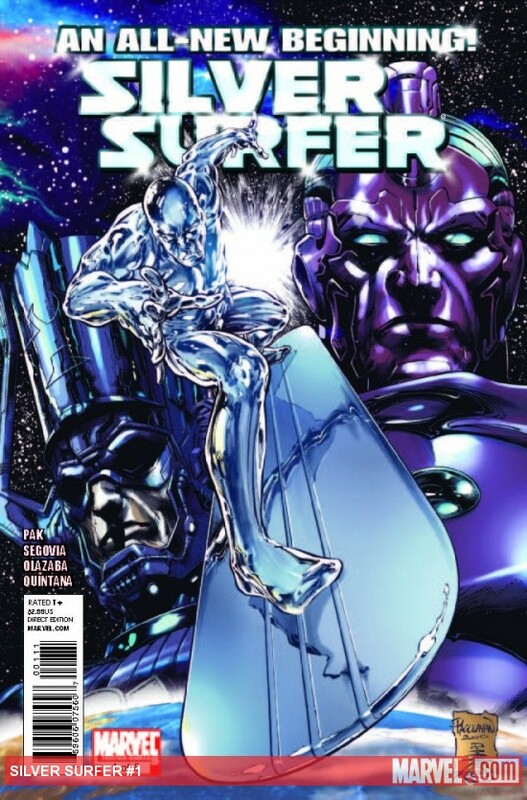 The Story: High Evolutionary’s grand design is rewriting the world and Surfer can’t save us on his own. The Future Foundation joins the fight as our penultimate issue builds to a cosmic climax that will be the Silver Surfer’s greatest sacrifice ever! The Story: Herald vs. Herald for the fate of all life in the universe! 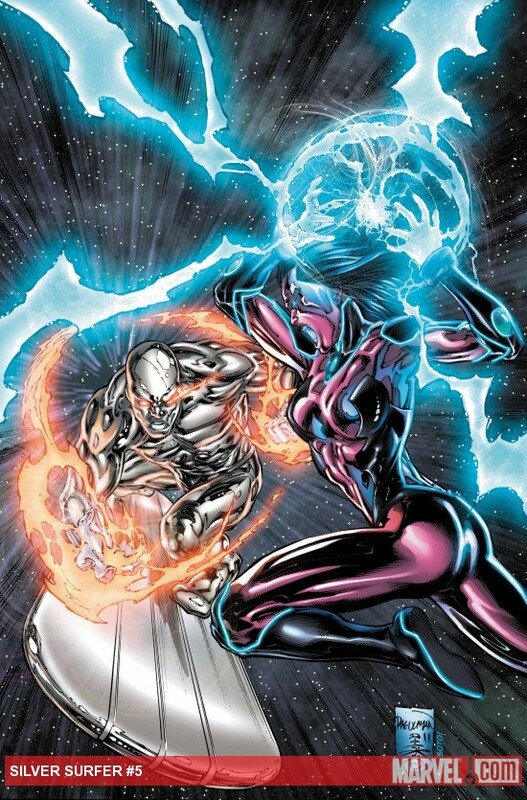 The High Evolutionary has stolen the power to replace Galactus, the lives of billions hang in the balance, and the one threatening to doom them all...is the Silver Surfer!? Овај шести серијал Летача испаде добар. Прича интересантна, цртеж недовољно добар да подржи овакву причу, али укупно све ваља. Прешарено је, умара понекад, делује невешто, али прича вади ствар. Silni :: Овај шести серијал Летача испаде добар. Јеси ли читао овог Летача? Neće to skoro kod mene doći na red... No, ako neko nije pročitao Hickmanov run, do dela kada "nastrada" Torch, neka požuri s kupovinom! Meni je to bilo prilično dobro... To su #570-588, nije to mnogo.